Hello and happy hump day to ya! 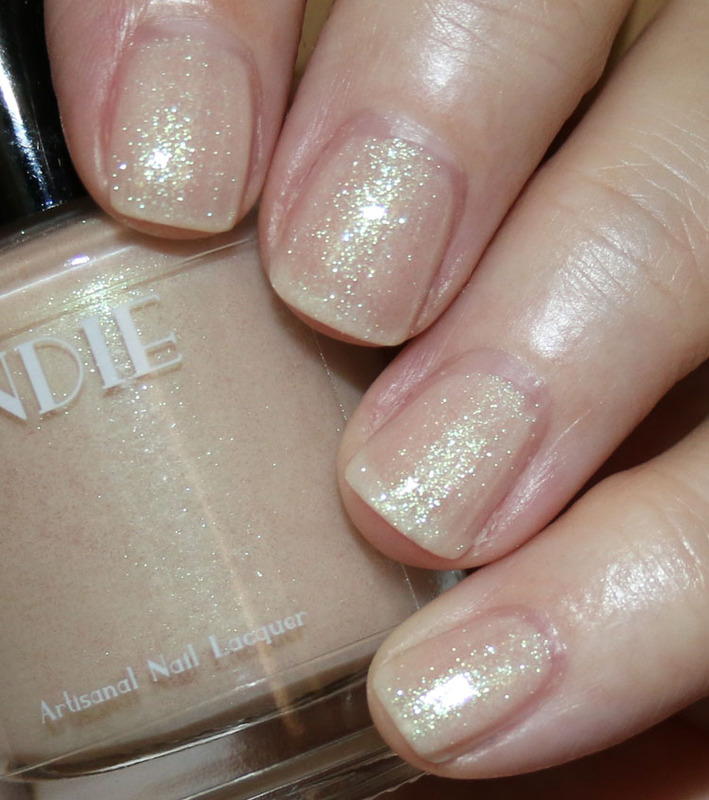 Today I’ve got the Indie Lacquer New Year, New You Collection. This collection features five new shades, including a super cool thermal color. 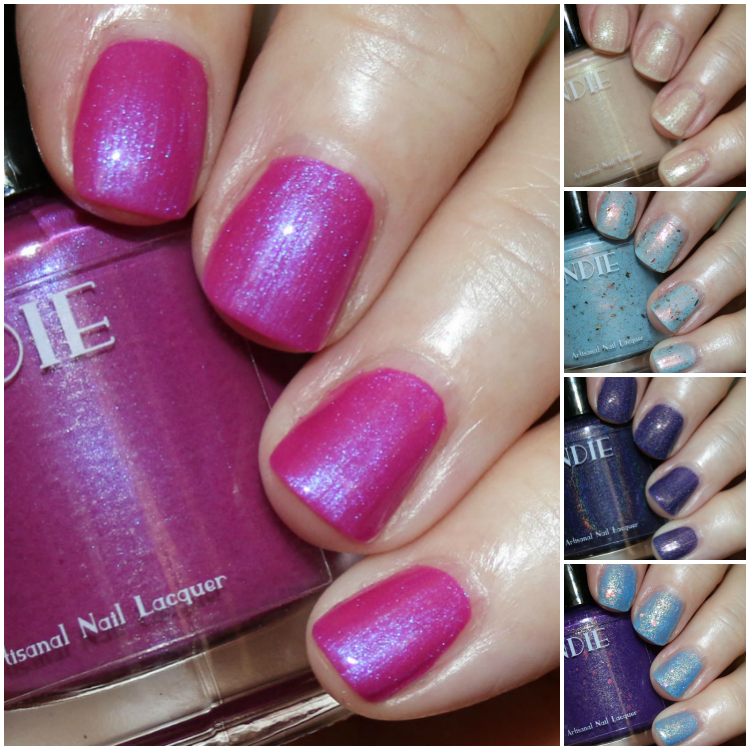 Nearly all of these covered beautifully with just two coats and I had zero problems with the formula. Gym Selfie is a light beige with green shimmer. 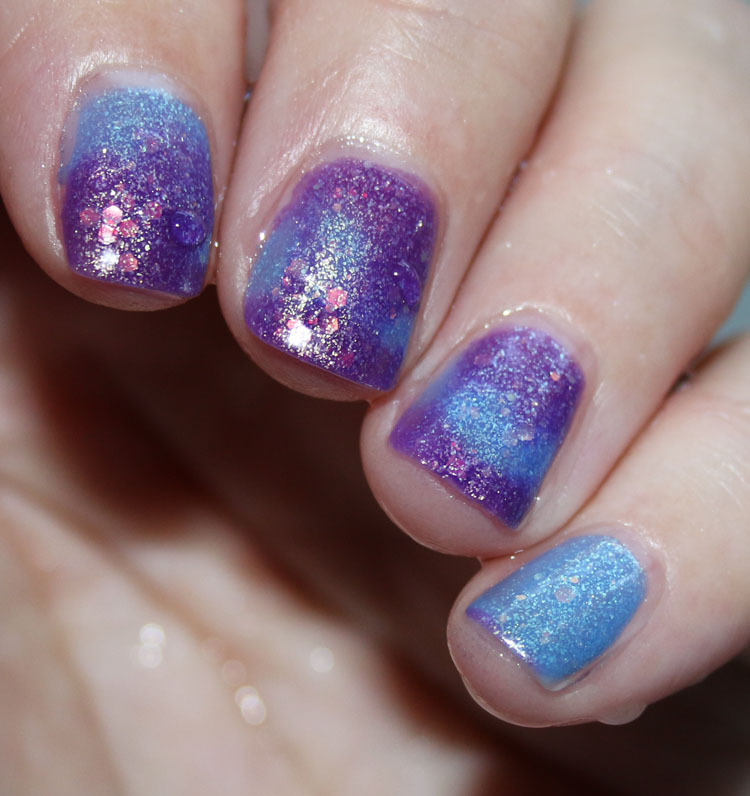 This is the only one where I used three coats. 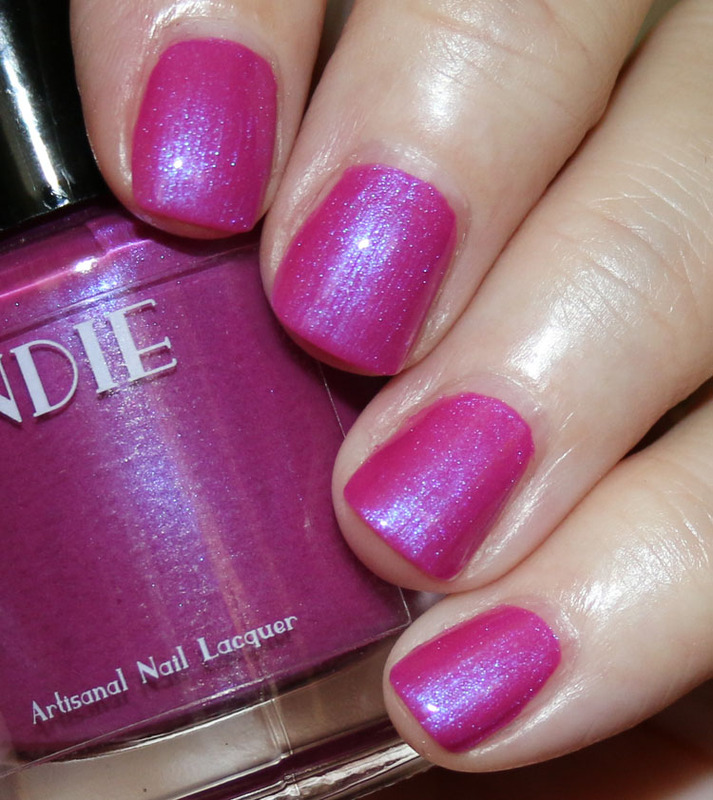 More Me Time is a fuchsia with blue shimmer. 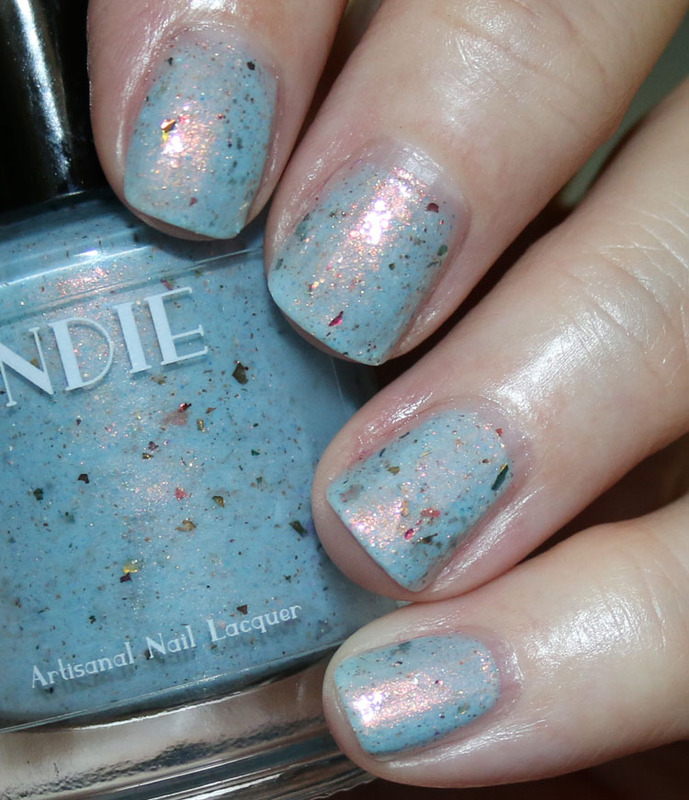 Low Carb is a light blue crelly with copper shimmer, flake glitter and color-shifting micro-shimmer. 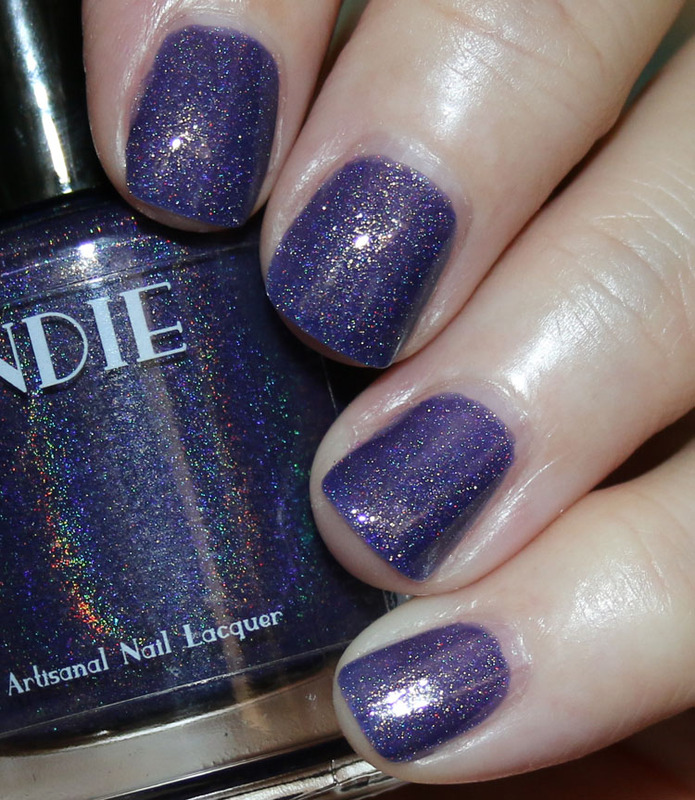 New Workout Routine is a royal purple with gold shimmer and scattered holo shimmer. 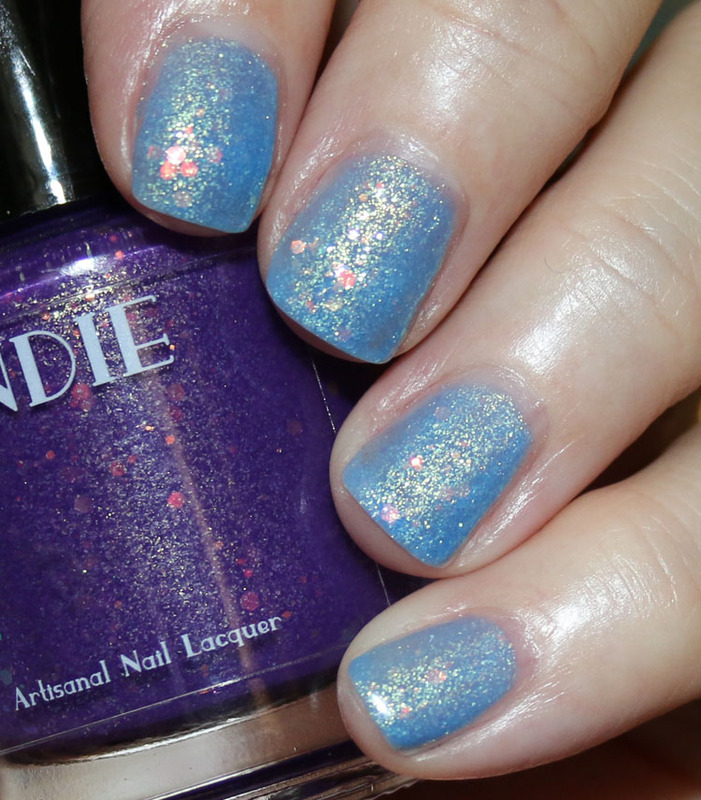 New Year, New Me is a purple/dark blue/light blue thermal with gold to green and other color-shifting glitter. New Year, New Me color-shift. Great shades here! Most of these are pretty unique (I would say More Me Time is the least unique one) and the formula was really nice. I especially love Low Carb and New Workout Routine. New Year, New Me is really cool if you love thermal colors! 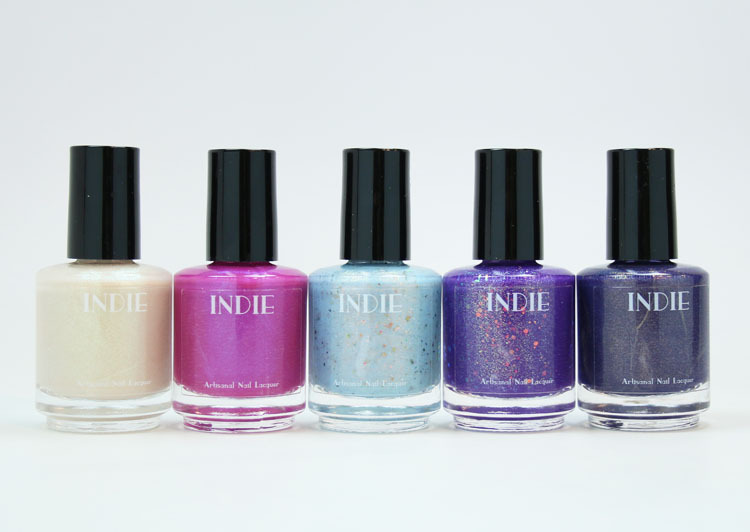 You can find the Indie Lacquer New Year, New You Collection on their site now and they are $7.00 each. See anything here you will be picking up? Like the last 3 colors a lot! Very interesting shades. I especially like the thermal color. surprisingly the gold was my favorite one.. Gym Selfie.. love it! !